One of the best videos I’ve seen for learning the process of meditation…enjoy! Today I share the process of healing my liver gallbladder using the method by Andreas Moritz. We have completed ten liver flushes in 12 months. After a long bout of pain in my abdomen, I was diagnosed with gallstones. It was a shock but also a relief to finally discover what the pain was about…or at least part of it. I was having many other issues that was unfamiliar with and unable to identify. I began to seek natural cures rather than scheduling the usual further tests or gallbladder removal surgery. I believe our bodies were meant to have the organs for a purpose and I also believe we can heal these organs when they are in distress. It is hard for me to believe how the average person will know that when they get a cut on their arm, the skin will regenerate and heal, but when something goes on internally they cannot see, they lose all faith in healing and run to alopathic medicine to treat, medicate and remove rather than support natural healing. I am naturally aligned with my guides, I listen to my gut and follow my instincts. After a long talk with god and deciding what I wanted to create my life to be, I was led to the person who showed me the work of Andreas Moritz. After reading Andreas’ book, “The Amazing Liver & Gallbladder Flush,” I knew I was about to embark on a new phase of health and healing for my life. 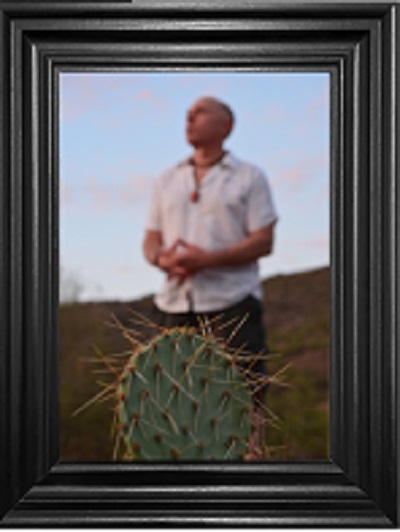 Even though I had been vegetarian for 20 years and used herbs, teas, juicing and other healing elements, I had one issue that I had not dealt with. For decades, I used food for emotional comfort, I didn’t chew my food properly and I ate too much, too fast. It doesn’t matter how good the food is we eat. If we eat too fast and do not properly begin digestion in the mouth, the system will eventually begin to malfunction, create stones, feed parasites and breakdown good gut flora. I created all of it. But even with proper chewing, just a lifetime of eating cooked food, alcohol and environmental poisons will naturally cause the same stones and other health issues. In his book, “Timeless Secrets of Health and Rejuvenation,” Andreas Moritz claims that gallstones in the liver may be the main impediment to acquiring and maintaining good health, youthfulness, and vitality. He states, “Gallstones in the liver may, indeed, be one of the major reasons people become ill and have difficulty recuperating from illness.” This may come as a surprise to many of you since mainstream medicine has us believing that gallstones only form in the gallbladder, with no reference what so ever to gallstone formation in the liver. It may be more surprising in fact, when you learn that the majority of gallstones form in the liver and relatively few occur in the gallbladder. That being said, once the liver begins to heal, everything else gets a radical kick-start to healing. But if you never flush out them stones, your liver may end up on Google Images as an example of how badly a liver/gallbladder can be congested with them. In our eight month journey to healing and recovery, we added a lengthy study program to our health education. Besides studying proper liver cleansing and herbs, we read several books, listened to podcasts, lectures and practiced methods related to: herbs and foods that heal the gut – maintaining proper Ph levels in the body – formulas for proper stool formation – how to perform a variety of healing enemas – the effect of gluten on the gut and gluten related auto-immune disease – the need for healthy fats – dangers of low fat diets and more. I will share personal experiences related to these subjects in future blogs. Yes, we have become masters at enemas! On the very first flush, we eliminated several hundred small stones. By the second and third flush, the stones were getting larger, and on the forth flush, I eliminated several hundred stones, many as large as one inch. The fifth flush, my stones were getting fewer, but Dung was still flushing hundreds of small and medium ones. By the sixth flush, I had only a small handful of stones. I did, however, flush out a large dead parasite and a dead critter that was unexplainable. It was an odd translucent body with a darker interior with arms all over the outside of it. Almost like some type of octopus. Immediately after flushing these two critters, my intestines felt better. Since then, I flushed only a few stones. My elimination is steadily getting back to normal and the pain has shifted from deep gallbladder and gut pain to what now feels like a faint, dull intestinal ache. During the eighth flush, my lovely Dung had the largest harvest ever, several stones equaling almost one inch! These are her stones below. We performed the flush both using the straight apple juice method and the malic acid method with supplements. In both cases, we had successful flushes. We chose to continue the malic acid method because we got tired of drinking so much apple juice. We suggest you read the book before starting your first flush! Anyone pursuing this flush will have good intuition with their body. Cleansing organs of the body has been done for centuries. However, in the western culture, there is overuse of prescription drugs by many people, which tends to destabilize the body. Caution should be used by anyone uneducated in natural human function. If so, it is recommended that you be supervised for this flush by a qualified natural health care provider. The information provided is information you can find by searching liver flush. It is not a substitute for professional care. If you have or suspect you may have a health problem, you should consult your gut instinct, research your symptoms and natural remedies on-line, and find support from a qualified natural health care provider. 7 days of access to healthy food and your liver/flush fluids you will be drinking throughout the day. The 6th day of the flush you will need to be at home near a bathroom from 6pm on. The 7th day you will need to be home the majority of the day, access to a toilet and rest. The flush can be done without these supplements, however, be sure to get adequate nutrients with a variety of ORGANIC fresh vegetable juicing, especially green veggies, parsley and dandelion. You will begin this flush by avoiding high fat content foods for 6 days (animal foods, dairy, eggs, nuts, oils, coffee, alcohol, high sugar foods are all to be avoided). Avoiding these foods helps rest the liver. Steamed vegetables and rice, quinoa, salads and juices are a good option. Everyday you will wake up and make: 1 teaspoon of Malic Acid (or chosen alternative, see above) 2 teaspoons of Gallbladder Nano in 32 ounces of water. Gallbladder Nano is a nanonized form of b vitamins and herbs, they support liver function and biliary cleansing. This Nano is an extremely high quality supplement that will also replenish those nutrients that are depleted through the flush. YES, THIS FLUSH IS DEPLETING. Which is why we encourage added nutritional supplementation. You can add lemon juice, Stevia or Apple Juice for flavor. You will sip this concoction throughout your day in addition to whatever water you normally drink. The Malic Acid is sour and it’s also a type of acid that can make your teeth feel funny and also make your throat scratchy, it’s normal. You can rinse your mouth out with water if it helps. If using the supplements: You will also take 4 Gallbladder BilliVen Capsules 3 x a day. The Complex helps dilate the bile ducts of the gallbladder and liver as well as encourages healthy bile flow. These supplements will support your body as well as ensure a smooth successful flush. For best results, administer 3 coffee enemas sometime during the first 5 days. The palmitic acid in the coffee encourages the dumping of toxins from the liver into the colon and prepares the body for the flush. Drink all 32 oz. of your Malic Acid cocktail before 1:30pm. Do not eat ANYTHING after 1:30pm drink only water. I personally fast the 6th day, which is not recommended if you tend to have low blood sugar, otherwise eat a light breakfast. Your malic acid concoction and water is a good start to the day. At 6pm drink 6 oz. of pure water with 1 tablespoon of dissolved Epsom salts quickly. I personally use a fresh slice of lime as a chaser. At 8pm drink your second serving of Epsom salt water. At 9:45pm squeeze your grapefruit or Lemon/ Orange into a jar (6 ounces of juice), pour your olive oil (4 ounces) into the juice, place the lid on it. You may have started to have bowel movements by now, if you have not, you can administer a pink salt or water enema to induce bowel movements although this is not mandatory. At 10pm stand by your bed and shake the juice/oil mixture and drink it quickly. Lie down immediately!! Perhaps with a warm castor oil pack on your liver area. Try and sleep, it’s fine to visit the bathroom throughout the night. Set your clock for 6am. At 6am wake up and have your 3rd delicious 6 oz. glass of Epsom salt water. A coffee enema is highly recommended at this point, lie down until 8am and have your fourth and final glass of Epsom salt water. One more coffee enema is recommended before you eat a light meal at 10:30am. I personally recommend vegetable juicing and/or pureed vegetable soups and probiotics through the day. A successful flush happens when sticking to the instructions and having 3 coffee enemas the 7th day. It is highly recommended to have a colon hydrotherapy the 8th and or 9th day. Because this flush is depleting it is also recommended to finish the Gallbladder supplements and to re-mineralize the day of the flush with extra vegetable juicing, and lots of water. The flush is discouraged if you are feeling sick, if you are in a high stress time of your life and if you are having any pain or problems defecating. 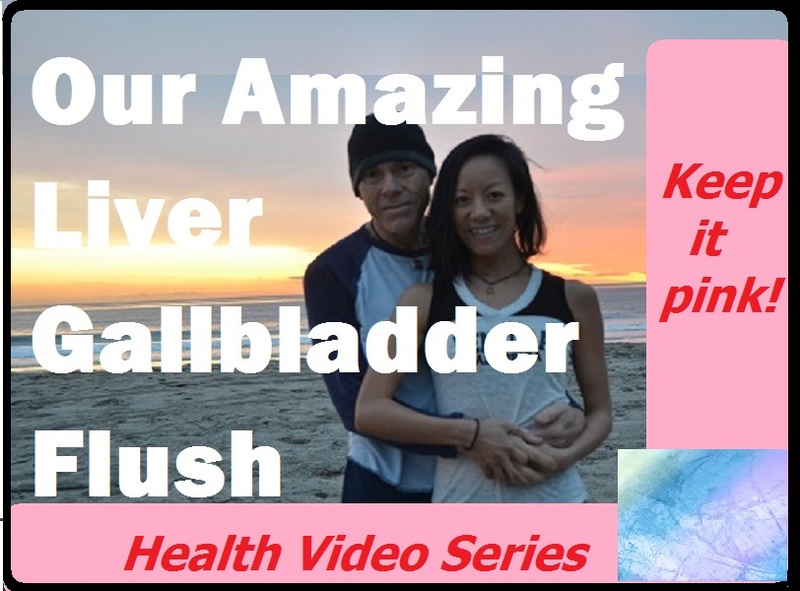 This flush is not only a physical release, we tend to store fear, anger and guilt in our liver/gallbladder, when you are extremely stressed and upset and you attempt a flush, your results can be hindered because of this. You CAN flush if you are menstruating. Some people feel the stones actually leaving the gallbladder, which is under the right side of the rib cage. Some people feel a dull ache under their rib cage during and after a cleanse. Some people feel exhausted the next day, and some people feel more energy than they ever have in their lives. Anyone choosing to do a liver/gallbladder flush does so at their own risk. Please understand that although the chance is one in many thousand, it has occurred where an abnormally large and calcified stone became trapped in a bile duct. This will cause extreme pain and possible surgery to remove the stone. If this happens to occur during a flush, many people take a couple extra tablespoons of Epsom salts to further dilate the bile ducts to move the stone through, and can also take more olive oil. Organic chicory root has a long history of assisting with liver problems, extending back to the ancient Romans and Egyptians who used this herb to help cleanse the blood. In more recent times, roasted Chicory root has served as a natural, caffeine-free coffee alternative. Dandelion Leaf helps promote bile excretion from the liver. As such, the body can more efficiently process foods and liquids while purging harmful toxins. In addition, improved bile flow makes it possible for the body to better metabolize fat, which helps optimize the body’s cholesterol levels. Dandelion Leaf is also effective at stimulating a sluggish gallbladder, which is responsible for storing and excreting bile as the body needs it. As such, this natural substance is effective at promoting blood purity which helps reduce the burden placed on the liver to filter out toxins. You may consider dandelions as a weed, but the root has been used for many years to aid the body in purifying the blood and remedying liver problems. For people suffering from excess water in the liver due to health problems, dandelion root might help remove the water and improve overall liver function. Celandine is often used to assist with liver and gallbladder cleansing programs. Why? This valuable herb helps prevent the accumulation of foreign particles in the liver. A number of studies suggest Milk Thistle Seed supports optimal liver function. For example, Milk Thistle Seed’s can promote the liver’s ability to regenerate new tissue after damage occurs. Milk Thistle Seed even shows promise in stimulating the liver to produce additional bile for improved digestive function. Organic Peppermint Leaf helps to improve the flow of bile from your liver to the gallbladder. The volatile oil found in Peppermint (a hybrid of watermint and spearmint) also aids with the overall digestive process. Peppermint helps keep your liver in proper working order. Offering strong antioxidant effects, Organic Turmeric helps remove toxins from the body. As a result of this antioxidant effect, your liver does not have to work as hard to filter blood and keep your body healthy. This creates a healthier liver by allowing it to focus on removing toxins from the body. Yellow Dock Root helps eliminate the foreign substances that can overburden the liver. Yellow Dock Root is also used to address headaches, mental “fuzziness”, general irritability, skin blemishes, and blood and skin disorders—all of these problems are related to the liver not being able to operate efficiently. With the recent “discovery” of a very well known Amazon rainforest plant, Chanca Piedra, healthcare practitioners have acquired a powerful plant ally in helping their patients maintain optimal bladder, kidney, gallbladder, and liver health. Chanca Piedra is traditionally regarded as a health supplement that can promote the liver’s normal detoxification efforts for purging harmful substances. Sometime, within the time span of our lives, we encounter beings who present themselves at the perfect time, offering the perfect solution, inspiration, support wisdom, etc, just when we need it. Many times it is as unexpected as a falling star, a gem in the mire. Some people find these encounters unbelievable coincidences, while others realize this as a signature of the spirits who lead them along the path of their highest joy. These beings are angels, wandering angels I call them. Though some may not actually wander, and find home in a secure residence. They have qualities that are usually unexpected, qualities that show up at times of serendipity. These may be the mail person with unequaled knowledge of astronomy, or the construction worker who can quote every line in a Shakespeare classic. Angels have certain qualities that are run deep and show up at perfect, opportunistic times. Then there are the true wanderers, those who show up, perform miracles, then like the changing of seasons, find their way to move like the wind. Wandering angels, have a spirit which is hard to tame. Their beauty and skills are not meant to be held in one place for too long. We can see these beings as creative geniuses, even tortured souls. It’s as if they don’t belong here. Many times they have a hard time relating to the earthly mentality. Some of these beings have a good foundation for handling themselves on earth while others have a difficult time getting along and live a short life filled with addiction or strife. These beautiful souls find their way into our hearts. We feel the depth of who they are, and desire to know them. They may even be our siblings, our parents, or friends, but there is just something, that seperates them from us. Wandering angels have a place to be, although, even they themselves do not know where that is. Even those with a firmer grasp on earthly expectations can find themselves wondering why they have come forth, and fantasize about how they will leave. They see the absurdity of the mundane lives humans create and the captivity of society. They don’t usually fit in, or at best find a place within the healing arts just to keep themselves well. Wandering angels can be millionaires or homeless, sometimes both. There are even those who know they have gifts to share, but are afraid to let go to find their true selves. So instead they succumb to the insanity of attachments and peer pressure. Many of us on this earth now are angels, which is why it is getting harder and harder to fit-in to the binding forces put on us by religion and government. When a soul decides to be free, when we decide to give faith the power in our life, that is when the angels appear as needed. It becomes a natural process and a guiding light for our creations. At this point of freedom, our creations then become much more unique to our expression of individuality within the space of oneness of humankind. We realize that harmony with earth and angels is possible and all the magic we need to live our dreams is at hand. Angels are multiplying and gathering forces in mighty strength, but not to overcome an evil force, but to instead create a new vision, leaving old paradigms to fade away. Are you ready to join in? In the mean time, when a wandering angel appears in your life, give them hope. Share your own light, support them however you can, and allow them to be free. They are the leaders.